Something that creates emotion or begs us to engage with it. Hot Tip: Post after post of house pictures is not #stopworthy. Things that promote engagement are #stopworthy. Posts that play to people’s fears, worries and doubts are #stopworthy. Put yourself in your clients’ shoes and do some brainstorming. What’s on their minds? What scares them about buying or selling a house? What are their worries? What do they doubt? Break down those fears and provide answers. Facebook doesn’t care whether or not you like the way you look on video. Get over your fears, be true to yourself and do it! The more you go live, the higher ranked you’re going to be. That doesn’t mean you should go live all day every day, but be strategic and provide content that is meaningful to your audience. Promote engagement! If you feel like you don’t have enough followers to make going live worthwhile, reach out ahead of time and inform people you’ll be going live. Continue that process and build your audience. Social Media Strategy No. 3: Schedule It! 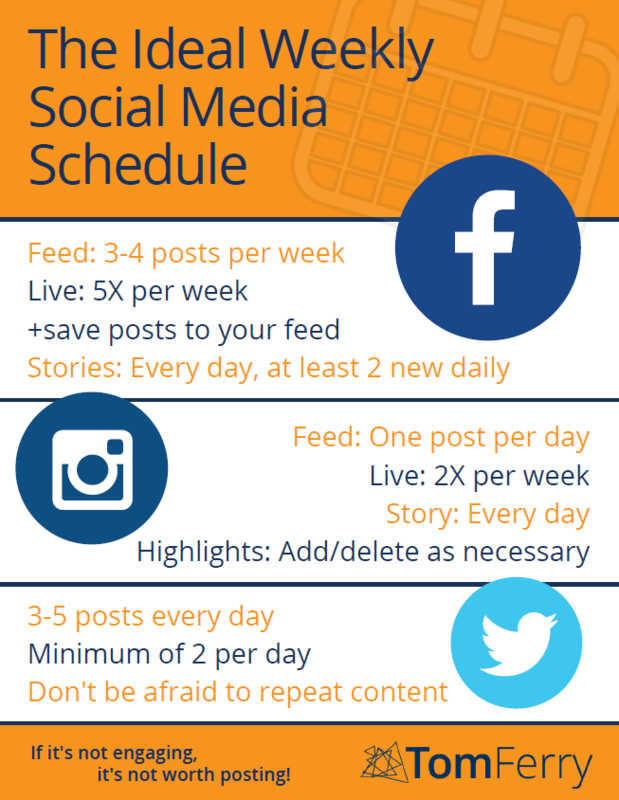 Making the most of social media starts by creating a schedule to follow instead of simply posting whenever you get around to it. Engagement is paramount in today’s social media world. Getting others to comment and reply to your posts will do wonders for your ranking. But it doesn’t end there! The Cardinal Sin of Social Media is failing to reply to comments on your post! Find the time and engage with everyone who comments on your posts. I hope this helped you make sense of social media. Rate your own social media engagement level on a scale of 1-10 in the comments below. Also let me know what other questions you have!